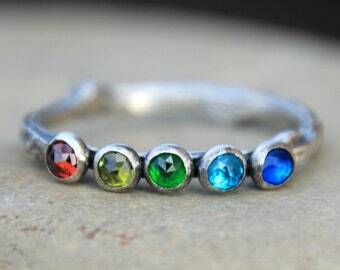 A beautiful, unique flower birthstone ring! 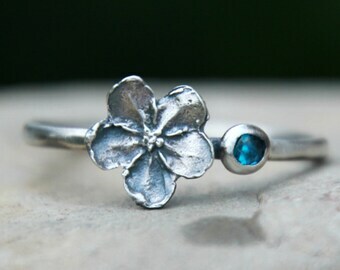 ♥Each flower has been hand cast out of solid sterling silver using real flowers! These were hand cast using the lost wax technique. These can also be made using my twig band. If you would prefer a twig band, please message me. ***The band is made using Argentium sterling silver and 1.6mm thick. 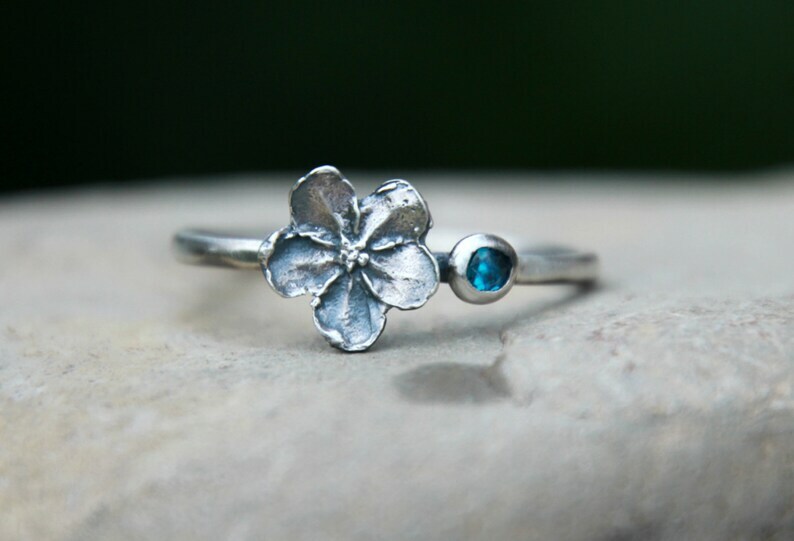 I have adorned the top with a beautiful hand cast flower and 3mm cubic zirconia, rose cut, birthstone set in fine silver. 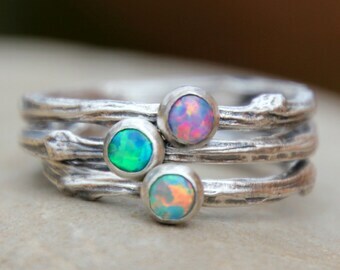 You have your choice of cubic zirconia or opal. 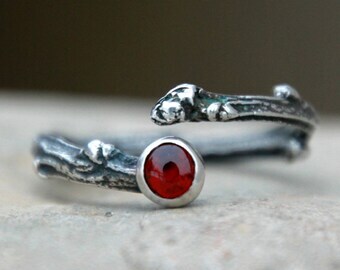 These gemstones are specially made for my shop, so you will not find them anywhere else! ★I have oxidized and highlighted the silver to bring out the texture of the ring and flower and really highlight every feature on each petal. If you would prefer the ring to be left shiny and not oxidize, no problem, just let me know in the 'notes to seller' box at checkout. ~Please see the past photo for the gemstone/opal chart. If you have any questions, please message me. 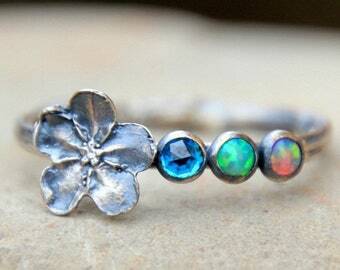 Adorable petite flower ring. 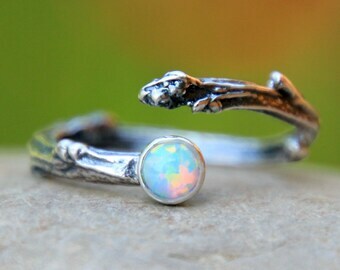 The tiny stone adds another surprise to this cute creation. I’d definitely purchase from this shop again.